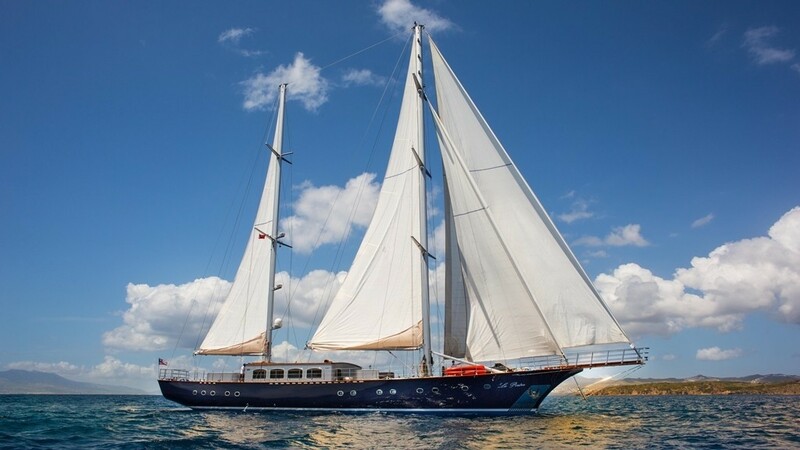 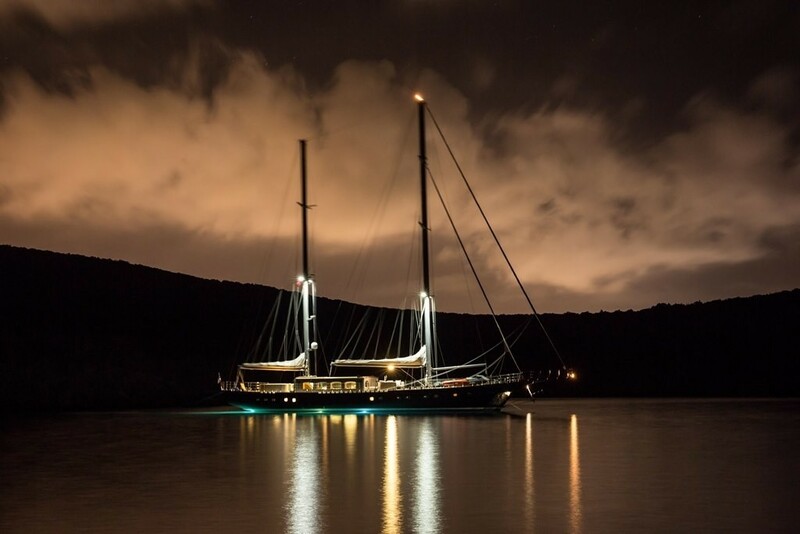 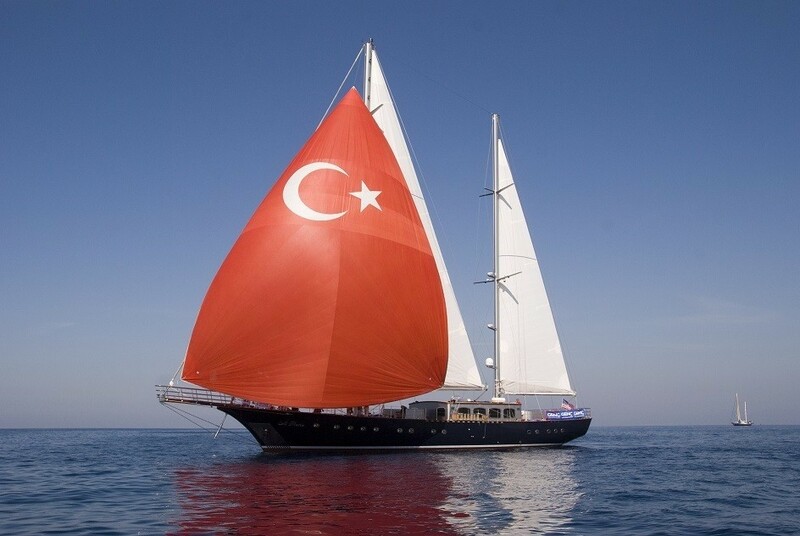 Luxury sailing Gulet LE PIETRE was built by ADA yachts in 2009 and measures 39m (127.9ft) in length. 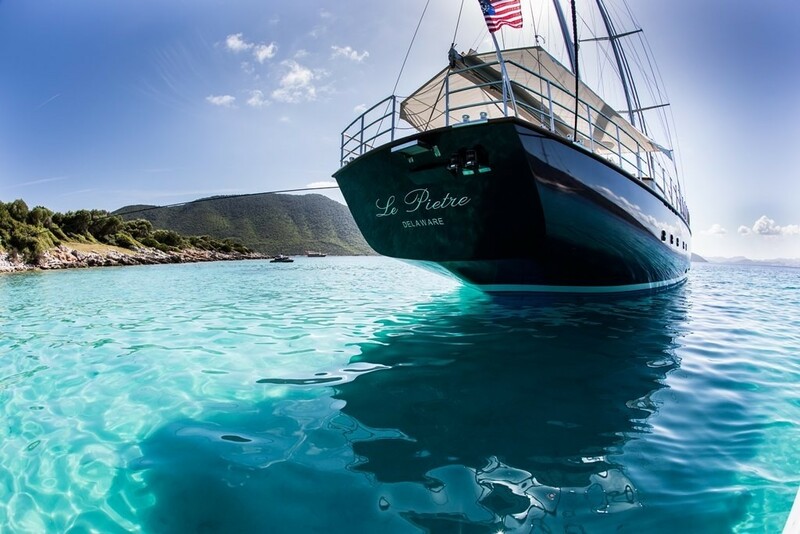 S/Y LE PIETRE has accommodation for up to 8 charter guests, offering 4 deluxe en-suite cabins. 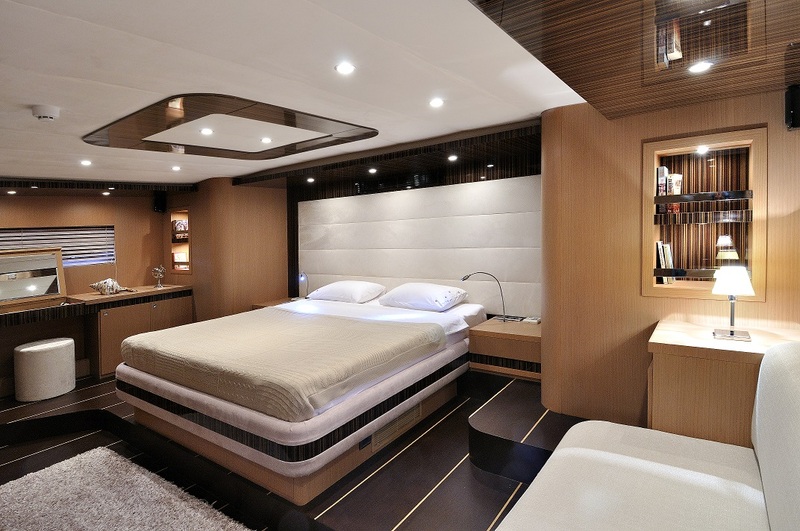 The yacht features naval architecture by Onur Tekin, interiors by Hale Kayalar. 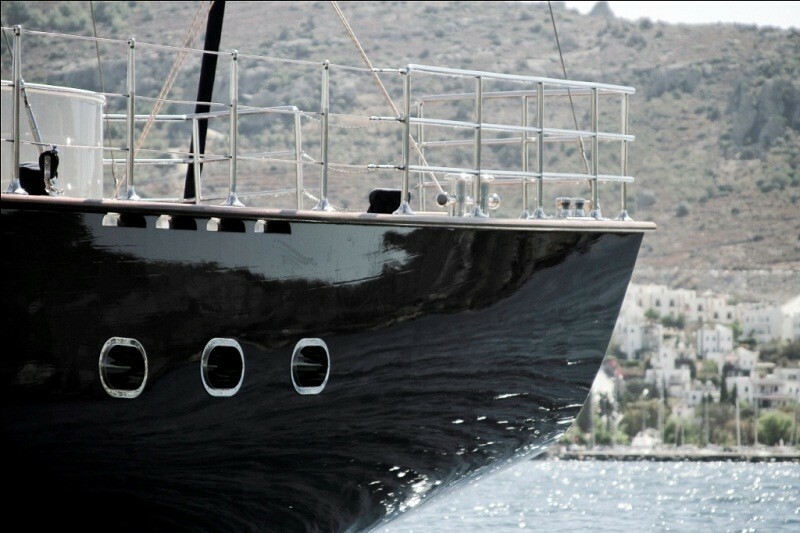 There is a professional and dedicated crew of six on board. 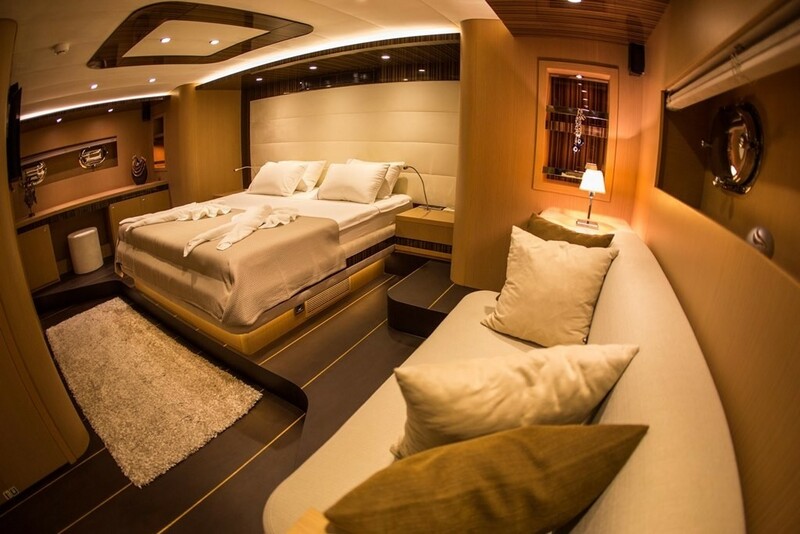 The sailing yacht LE PIETRE features a modern chic interior of pale oak panels, dark wood floors and earthy toned soft furnishings, creating a welcoming elegant ambience. 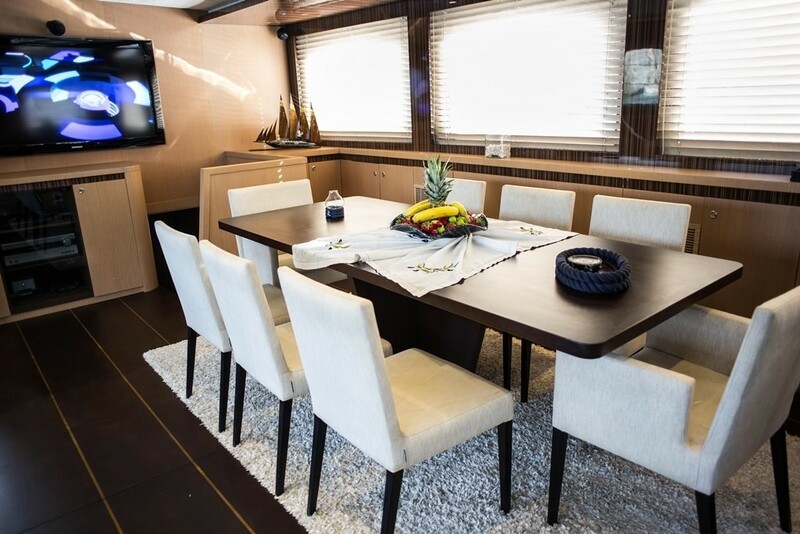 The salon and dining are an open plan in the raised deckhouse. 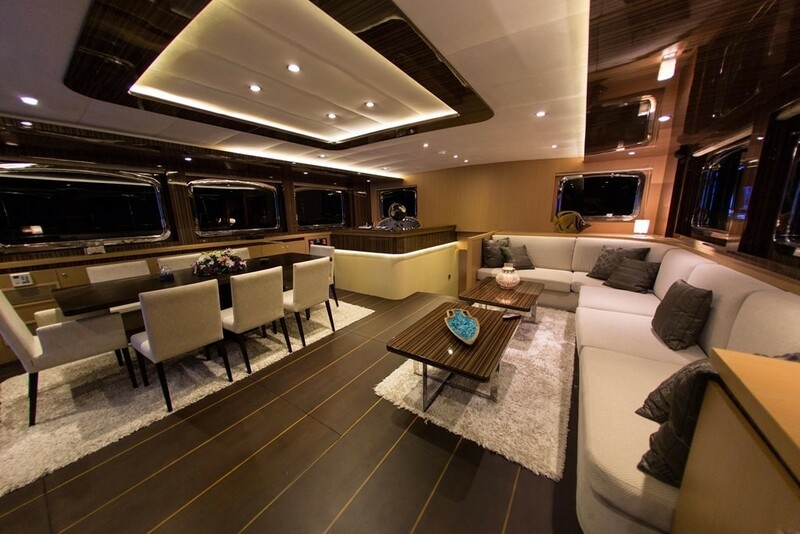 On the starboard side is a comfortable lounge with sofa, coffee table and entertainment system. 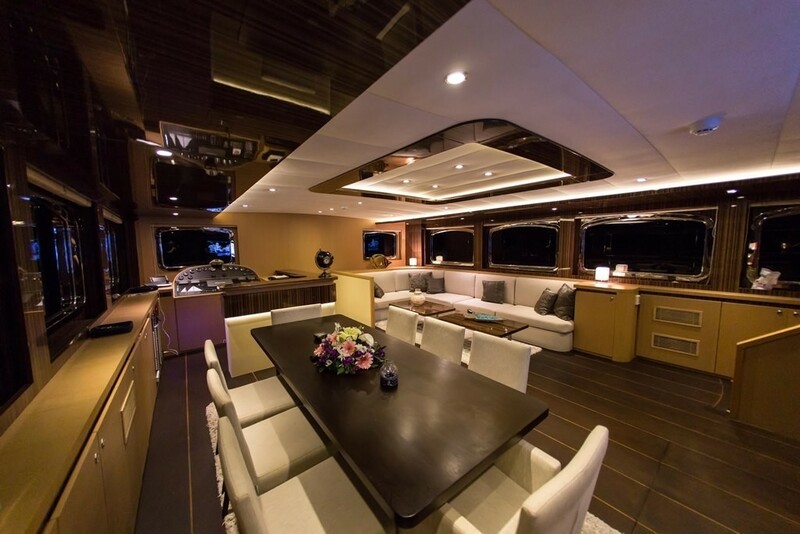 To port are the formal dining area and wet bar, ideal for socializing. 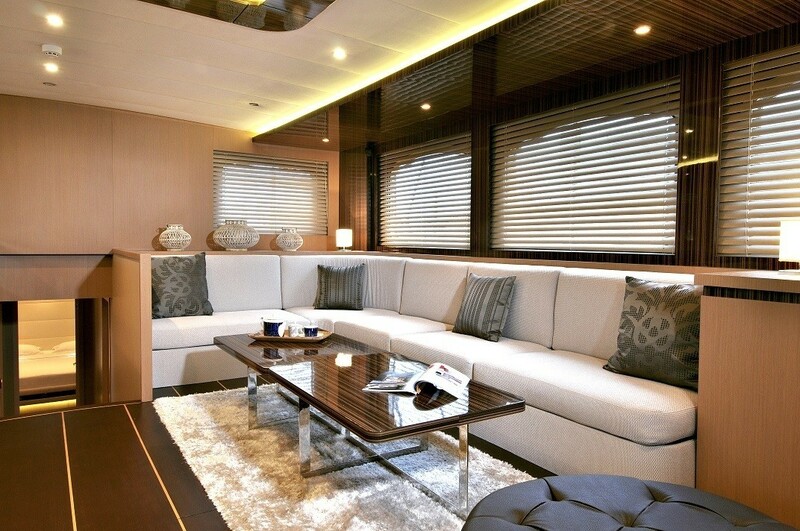 Wrap around panoramic windows infuses the space with ample natural light and optimum views. 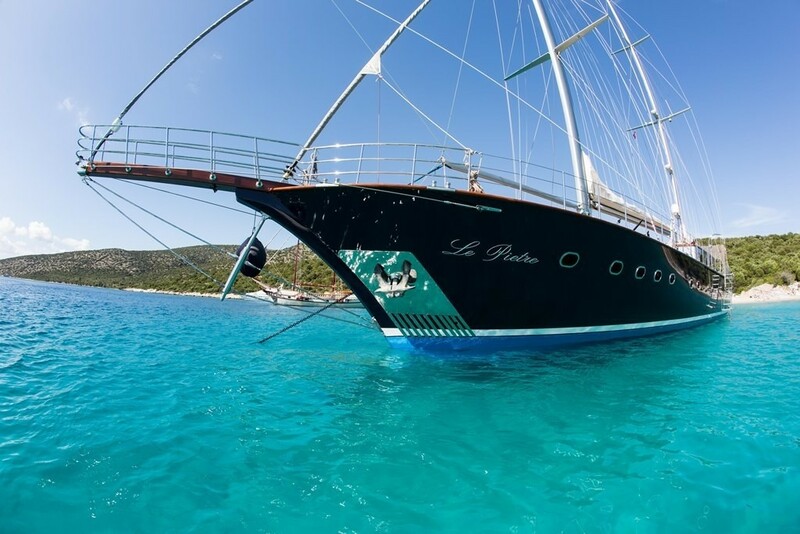 Exterior deck space is plentiful aboard LE PIETRE. 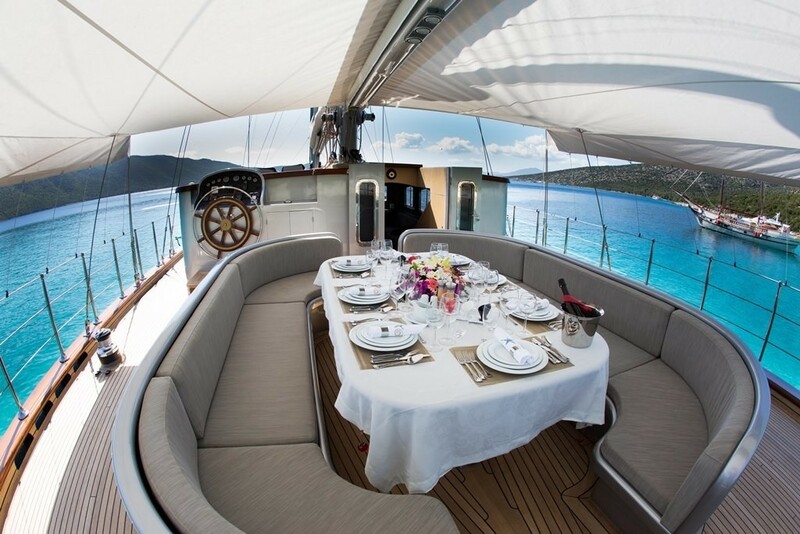 The aft deck boasts shade, a large seating area and alfresco dining option. 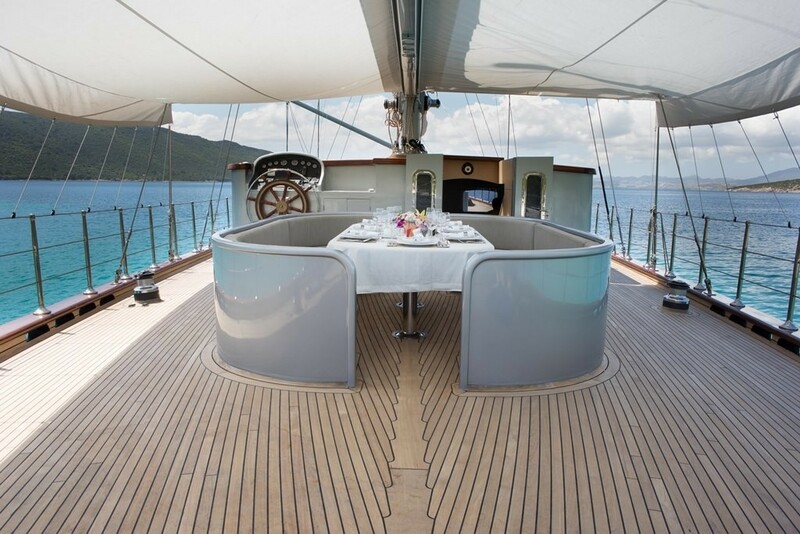 With a beam of 8m (26.2ft), LE PIETRE offers wide side decks, leading to her ample foredeck, complete with built-in seating and adjustable table, plus an abundance of teak decks to relax upon. 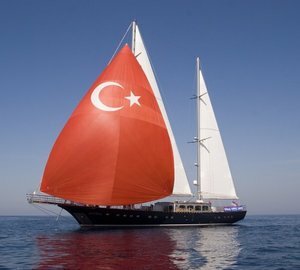 Sailing Gulet LE PIETRE has an impressive sail area of 650m2 (2133ft2), under sail she can reach up to 13 knots in 25 knots of breeze. 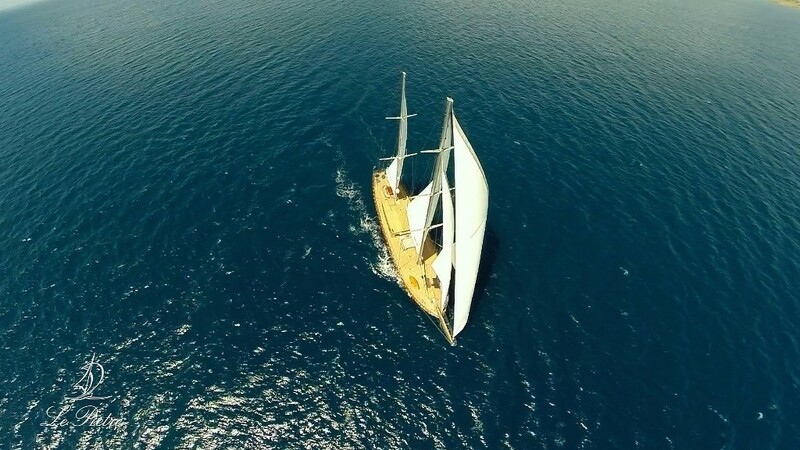 While not under sail, LE PIETRE is powered by 2 x Cummins engines with 435hp each. 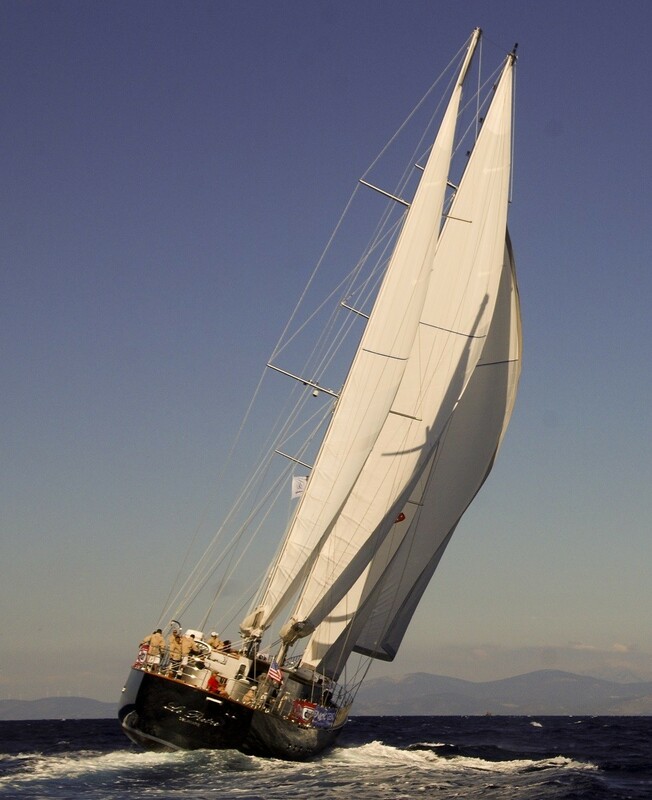 The LE PIETRE sailing yacht has 4 en-suite cabins, for up to 8 charter guests. 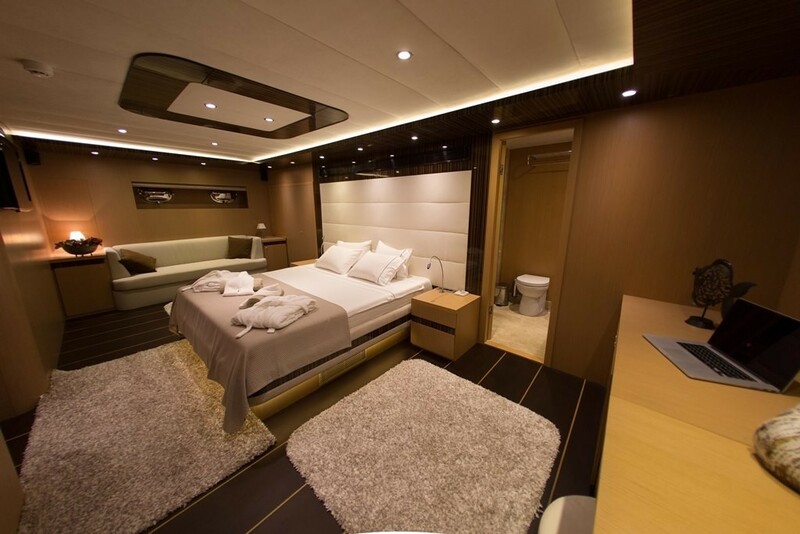 Each cabin boasts full air conditioning, ample storage, TV entertainment, marble-clad en-suite facilities and a contemporary serene décor. 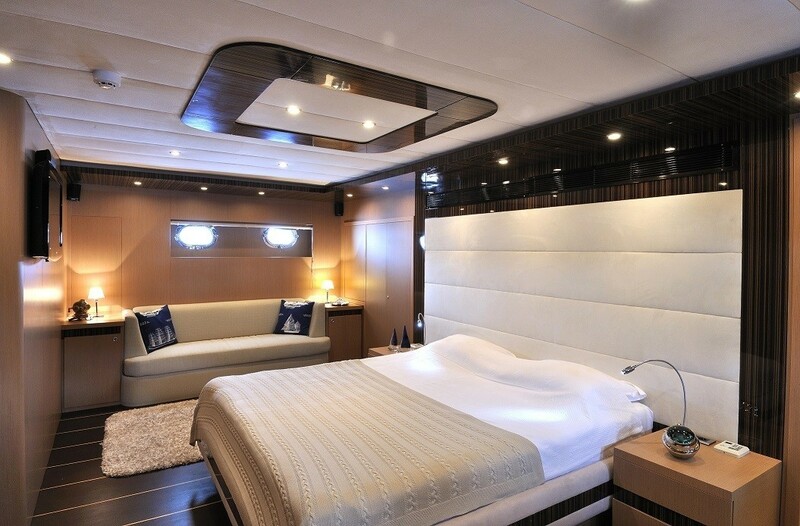 The master stateroom is aft and full beam of the yacht, with a king size centre-lined bed, sofa and vanity. 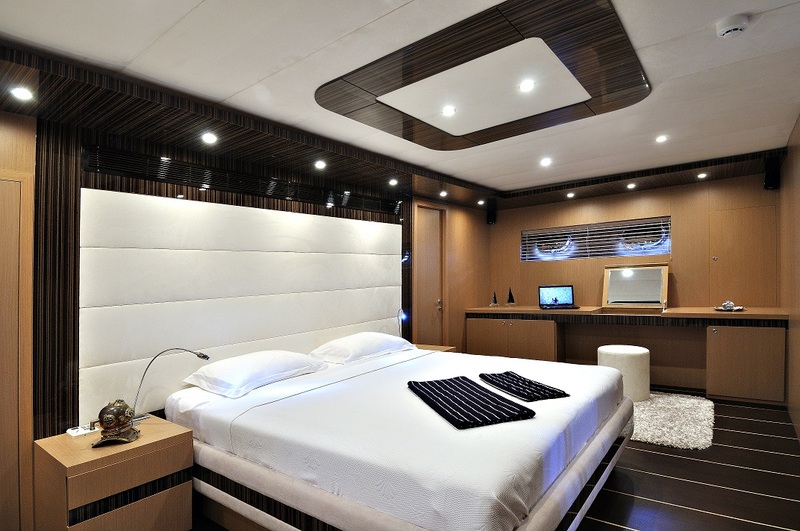 The VIP cabin is forward and full beam of the yacht, with a centre-lined queen size bed and vanity. 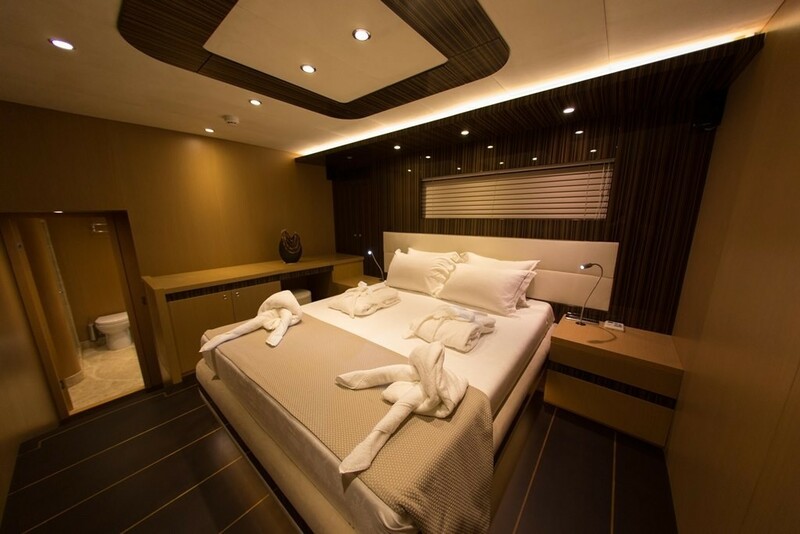 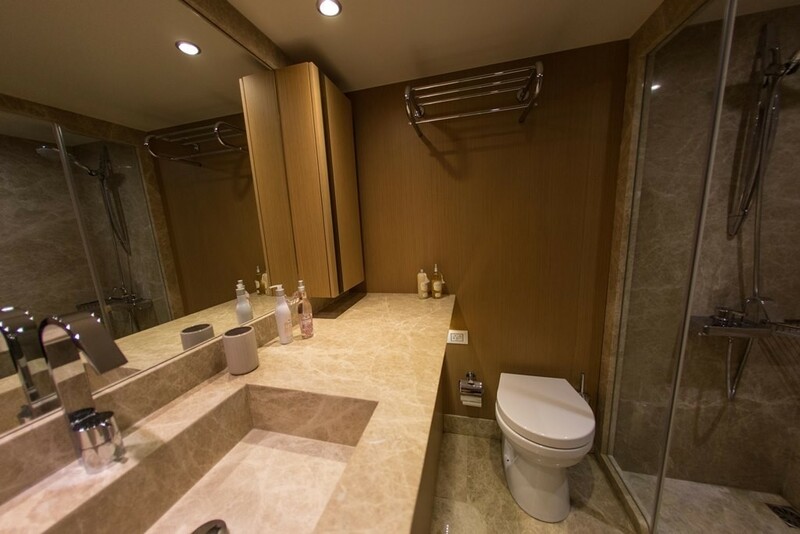 A further guest cabin has a double bed, while the 4th cabin offers side by side, twin beds. 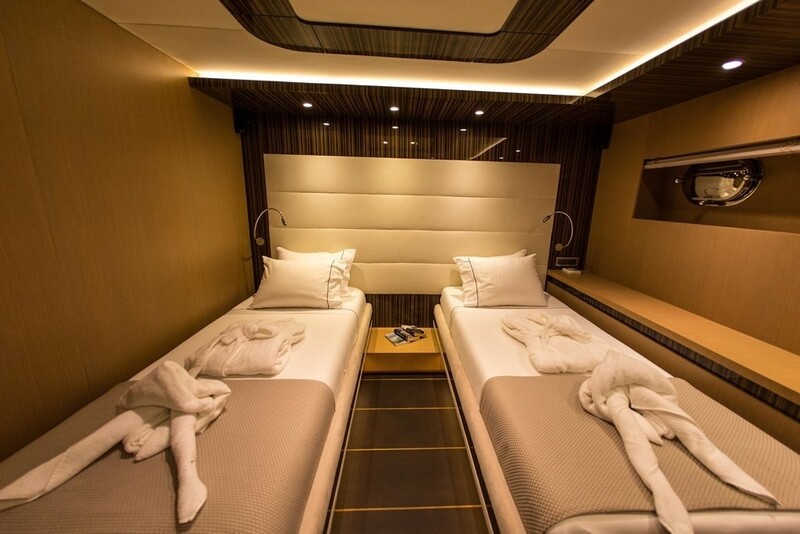 The twin cabin can convert into a double.